You’re invited to our Forum launch – the Shakespeare Slam! 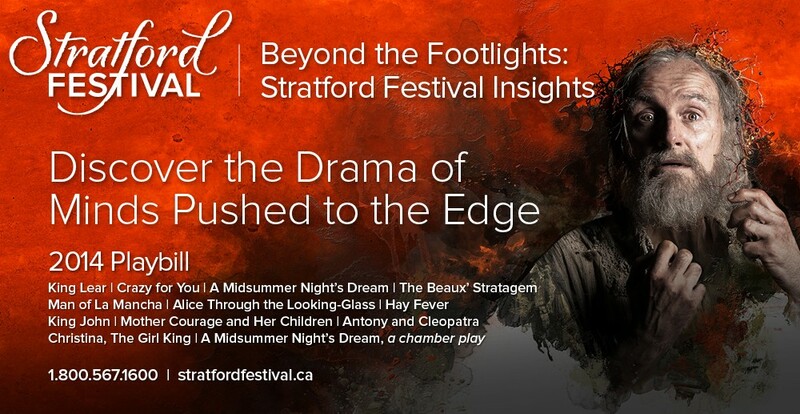 The Stratford Festival invites you to see Shakespeare in a whole new light, channelled through the remarkable perspectives of some of Canada’s most provocative thinkers and performers, Torquil Campbell, Adam Gopnik and Rufus Wainwright. 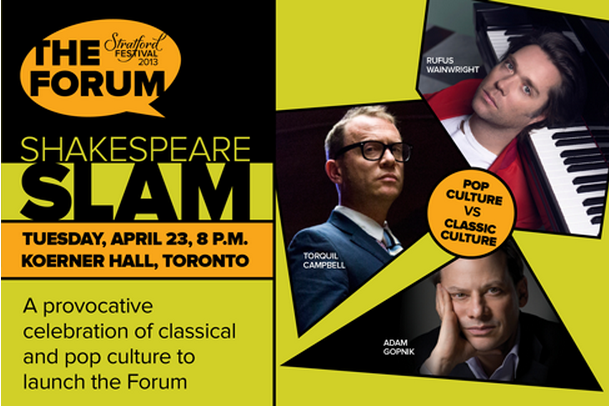 On April 23 (Shakespeare’s birthday) the Festival will be in Toronto to present the Shakespeare Slam, a thought-provoking and irreverent event to mark the launch of the Festival’s newest initiative, The Forum. This celebration of culture – both classical and pop – will look at how Shakespeare continues to entertain and inspire in today’s world. Like The Forum itself, the evening will offer insightful debate, along with music and other entertaining explorations. TORQUIL CAMPBELL and multi-instrumentalist JULIAN BROWN will perform songs from the work that Mr. Campbell is developing at the Festival with playwright Ann-Marie MacDonald and director Alisa Palmer. Read more about this new collaboration here! RUFUS WAINWRIGHT, singer, songwriter and composer extraordinaire, takes the evening to new heights with a performance of some of his own songs set to Shakespeare’s words. LUCY PEACOCK joins him with relevant readings from the Bard. The evening will be filled out by original Shakespeare-inspired haikus by company member ROY LEWIS, accompanied by GEORGE MEANWELL, original screenings and other entertainment. Time: 8:00 – 9:45 p.m.
To order your tickets, contact the Stratford Festival Box Office at 1.800.567.1600, the Koerner Hall’s Weston Family Box Office at 416.408.0208 or online. On Facebook? Join our Shakespeare Slam event page and watch for updates – or invite a friend of family member who would be interested in attending this one-time event! For more information on upcoming Forum events and activities, click here.